1919. 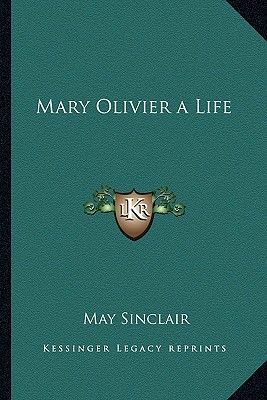 Mary Olivier is one of May Sinclair's best-remembered novels. The youngest of four children and the only girl in her Victorian family, Mary Olivier faces formidable barriers: she will not be educated as her brothers, nor will she be afforded their freedoms. Held emotionally hostage to a calculating mother, Mary retreats into her imagination and into books. Rejecting Victorian formulas, she becomes a published poet and refuses to marry a succession of suitors. Yet she remains a dutiful daughter. Hers is a timeless story in which obligation and liberty, acquiescence and rebellion coexist in a fully realized, ultimately modern woman.